316L steel pendant, rectangular plate with matte surface, irregular pattern made of various ovals, black glaze. 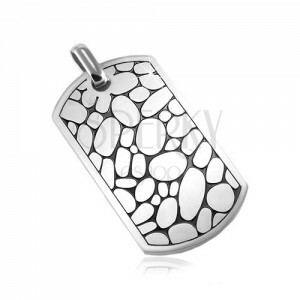 Steel pendant has a matte surface in silver colour and is made in the shape of a rectangular plate the shorter sides of which are slightly curved. 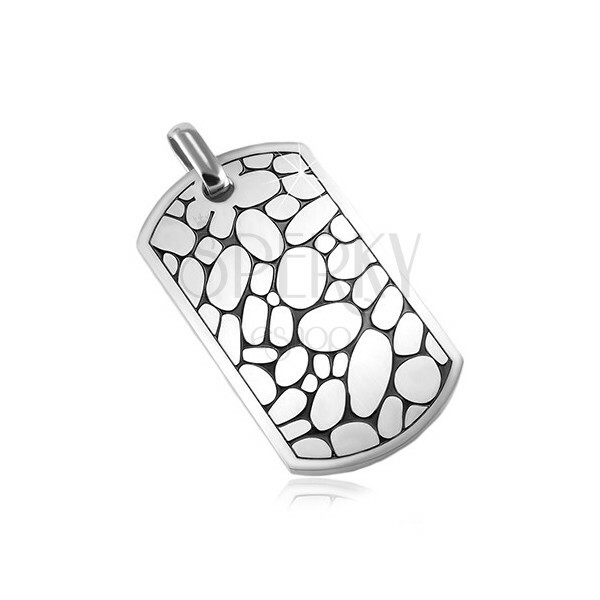 The front side of the pendant is decorated with ovals of various sizes. Around the ovals are gaps filled with a black glaze. The eye for the chain is oval and shiny.